The Jefferson Leadership Institute Class of 2017 held its second “Race Against Poverty” event on June 9 in Watertown. 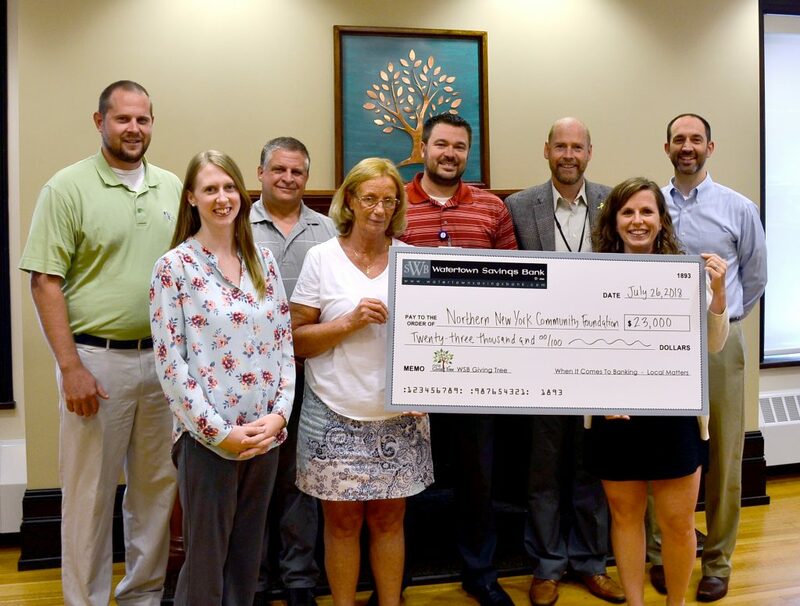 A combination of area contributors and proceeds from the competition resulted in $23,000 raised to support the “Race Against Poverty Fund” at the Northern New York Community Foundation. The “Race Against Poverty Fund” was established to assist in the implementation of “Bridges Out of Poverty” and “Getting Ahead” initiatives in Jefferson, Lewis, and St. Lawrence counties. A number of “Bridges Out of Poverty” training sessions and “Getting Ahead” workshops have been conducted and completed to date to help area residents living in poverty. Pictured (L-R) Front row: Joanna Loomis, Watertown Urban Mission; Carol Gardner, Volunteer Transportation Center; Jennifer Voss, City of Watertown; Back row: Dustin Clark, Barton & Loguidice; Bryon Perry, Knowlton Technologies; Aaron Naklick, Samaritan Medical Center; Corey Zeigler, Fort Drum Regional Health Planning Organization; Max DelSignore, Northern New York Community Foundation.